Our new manufactured Signature Series and remanufactured Sustainable Series systems are part of our GSA contracts! Your opportunities for selling OPS systems to government agencies are endless! For basic information on GSA, download our brochure here. 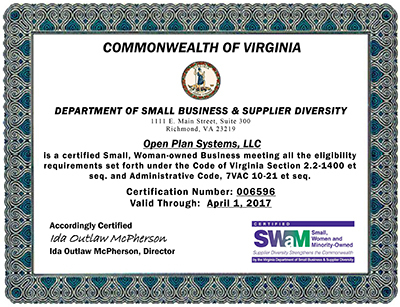 Through the Virginia Department of Minority Business Enterprise, Open Plan Systems is certified as a small, woman-owned business. 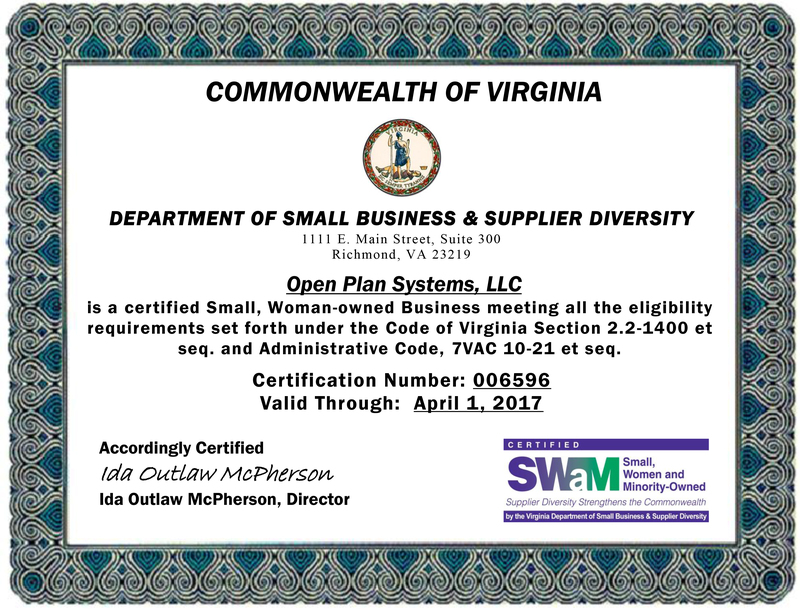 Open Plan Systems is the ONLY true systems manufacturer available as a small women owned business with this new systems SIN 711-1. Contact your TERRITORY MANAGER today!